A ban on large electronic items such as laptops in commercial flights headed to the United States might in the near future affect passengers from European countries. Currently the ‘laptop ban’ targets eight countries in Africa and the Middle East and prevents passengers from boarding commercial flights when carrying devices bigger than a standard smartphone. The move by the United States was late replicated by the United Kingdom though it applied to a set of routes that were slightly different. 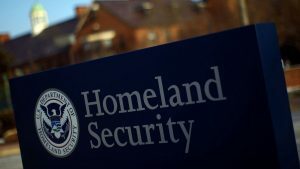 In an online posting a spokesperson for the U.S. Department of Homeland Security, Dave Lapan, admitted that such a ban was being considered but revealed that final decisions hadn’t been made. “No final decisions made on expanding the restriction on large electronic devices in aircraft cabins; however, it is under consideration. DHS continues to evaluate the threat environment and will make changes when necessary to keep air travelers safe,” tweeted Lapan. Nevertheless, according to sources in the aviation sector, airlines and airports on the European continent have started strategizing on what to do in case such a ban is extended to Europe by the United States. Some of the ideas being considered include setting aside dedicated areas where U.S.-bound flights will be departing from. Since the ban requires that laptops and other large electronic items to be treated as baggage the challenge now has been ensuring that the lithium batteries that are stored in a large collection on planes do not end up exploding in midair. Regulators in Europe have issued warnings saying that when so many devices are placed together on a long-haul flight, the risk of a fire starting from a lithium-ion battery that has been poorly deactivated is high. If and when such a ban is extended to European countries U.S. carriers would be greatly impacted. These include American Airlines Group, Delta Air Lines and United Airlines. It is understood that the expansion of the ban could even affect U.S.-bound flights hailing from Britain. Earlier in the year a restriction on laptops was announced for flights hailing from ten airports mostly in the Middle East including Turkey, Qatar, Saudi Arabia and the United Arab Emirates. This was over fears that a hidden bomb could be placed in electronic flights and then taken into aircraft cabins. Some of the carriers that were affected included Etihad Airways, Royal Jordanian Airlines, Egypt Air, Emirates, Turkish Airlines, Qatar Airways, Saudi Arabian Airlines, Royal Air Maroc, and Kuwait Airways.